March 24, 2015, a delegation of Total-Sinochem experts visits to Accu (Total-Sinochem Fuels Company Limited (TSF) is a joint venture of Sinochem and Total). During the company's on-site visit, both sides had exchanged for details of product knowledge and technology. 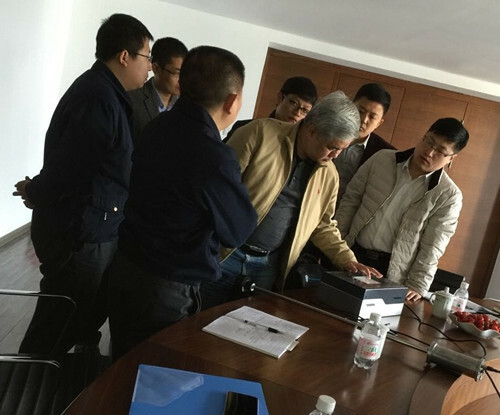 After more than one hour of exchanging in the meeting room, accompanied by the company's leadership, delegation of Total-Sinochem experts visited the Accu R & D department, Customer service department and Production departments . 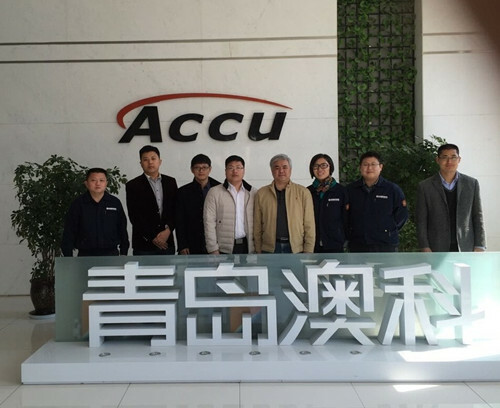 Accu advanced production technology, excellent product quality and service capabilities have been highly recognized by the delegation, especially the construction of the company's internal culture, which also prompts the trust and long-term cooperation between the two sides.